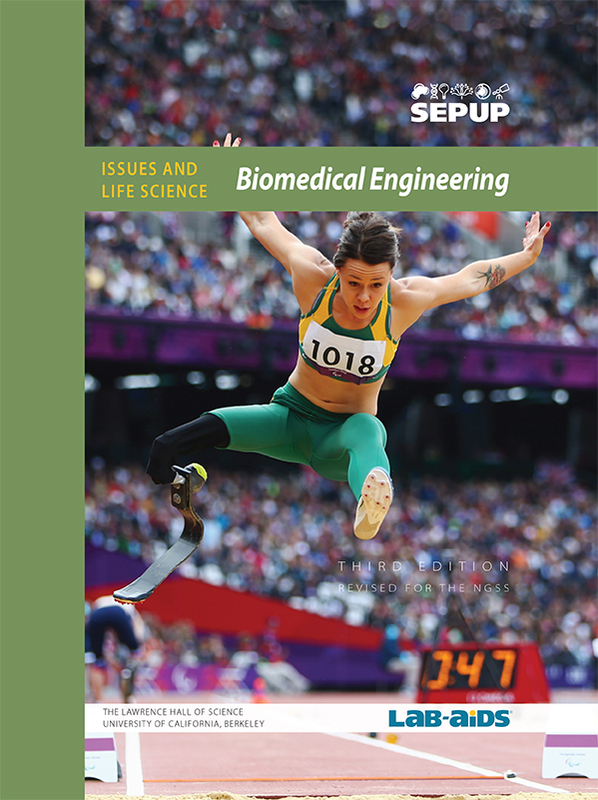 This Biomedical Engineering unit is part of SEPUP's Issues and Science three-year Middle School program. Each unit of the program incorporates science and engineering concepts and practices with current issues. Amazing documentary about type 1 diabetes in teenagers. Article about raising a teenager with type 1 diabetes. Smithsonian TV series about roboticists attempting to create a bionic human. Learn about a biomedical engineering issue related to hip replacements and how scientists solved the problem. This 22 second video clip shows how a dowel can be used to roll up a piece of paper into a bone model. Questions and answers regarding having a surgical heart valve replacement. A scientific paper on the differences between a mechanical and bioprosthetic heart valve. This video shows a simulation of how blood flows into and out of the heart. The challenge of improving usability. Michelle Khine used "Shrinky Dinks" to create diagnostic microfluidic chips that usually cost hundreds of thousands of dollars. U.S. News and World Report has ranked Universities based on the Biomedical Engineering programs. A list of famous people who studied biomedical engineering in college. A broad resource for understanding the field of biotechnology from an independent, non-profit organization. An expansive site supported by the United States Department of Agriculture (USDA that provides general information on food and nutrition. This site provides a table of calories burned for various activities. All USDA foods have a full report of their nutrients on this site. Health.gov report on the appropriate amount of physical activity to improve health. A Harvard press release that found that unhealthy diets cost about $1.50 less than health diets. An article about researchers at a Canadian University who developed a better robotic arm prosthesis. An article and video about designing a "universal robotic gripper".